Gold and silver prices are likely to remain bearish in the next fortnight with both precious metals to come under downside pressure, according to Reena Rohit, Chief Manager, Non-Agri Commoditis at Angel Commodities. Gold may fall below $1200/Oz and if downside pressure continues, it could test $1185-1182 mark while MCX Gold Feb contract has support 27700, 27000 mark whie resistance is seen at 29350, 30,300 levels, Angel Commodities said in a monthly bullion report. Spot gold prices declined nearly 4% in December and also showed reaction to a plunge in SPDR Gold holdings, that fell more than 5% during the month. 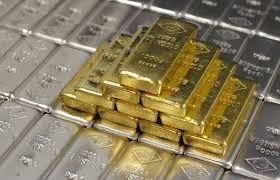 Gold prices could have seen furhter correction but weakness in the Dollar Index prevented further fall in prices. On the other hand, losses in gold prices in the domestic markets were steeper in comparison as a result of appreciation in the Rupee. On the MCX futures, gold futures prices fell by around 6 percent during Dec’13. The fall in investor holdings in Gold ETF's suggests investor concerns while the bounce that was seen in iShares Silver Trust Holdings from July to September 2013 fizzled out as investors concerns caused selling pressure again. SPDR Gold Trust holdings were down 40% in 2013, while iShares Silver was down 1.3% suggesting investors were worried about QE tapering concerns more in gold than silver.